A rat rod is a style of hot rod or custom cars and bikes that, in most cases, imitates (or exaggerates) the early Hot Rods of the 1940s, 1950s, and early-1960s. The style is not to be confused with the somewhat closely related “traditional” Hot Rod, which is an accurate re-creation or period-correct restoration of a Hot Rod from the same era. 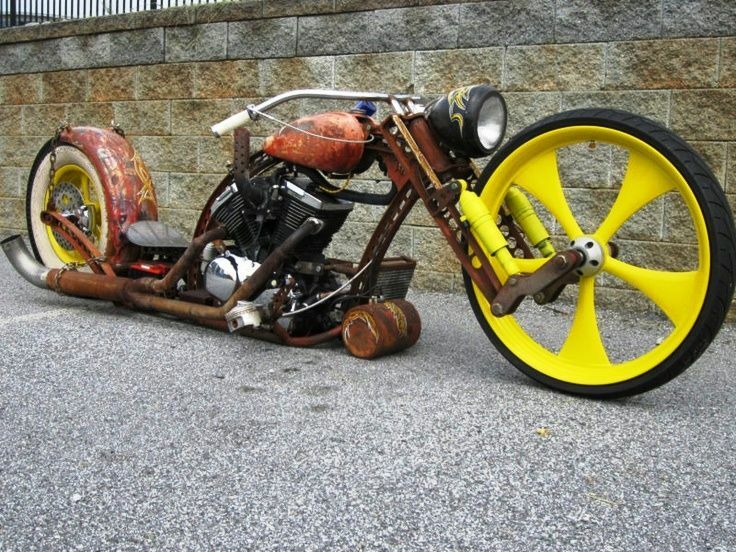 Take a look this custom motorcycle. Today in the United States hundreds of garages handmade bike and turn them into something amazing.